Reload your sampler – the Reload-series gives you access to selected CFA soundsets, transformed into massive sample-packs: detailled and close to the original captured sounds, programmed for all common samplers: Kontakt, EXS, Halion, Reason & SFZ. 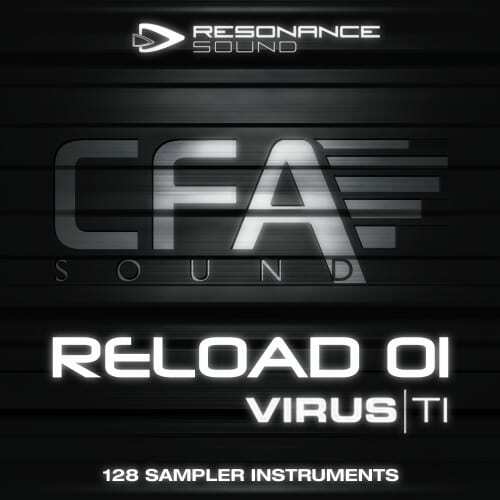 Reload 01 Virus TI – Infect your sampler with 128 stunning sounds from the Access Virus TI Thrillogy-1 soundset! 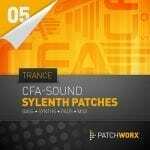 Ultimately inspiring, a huge arsenal of top-notch sounds for trance, tech-trance and just so many other styles using raw and punchy basses, wide and powerful leads, robust synths, dreamy plucks and also wild sequences or unique effects. A must-have! 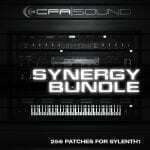 – 128 instruments in formats for EXS24, Halion, Kontakt (3.5 or higher, Monolith), Reason NN-XT & SFZ. Recorded in 24-Bit Wav Stereo. The Kontakt instruments are equipped with a script, which offer`s the direct access to 8 parameter (amp-envelope, filter control, fx send levels).